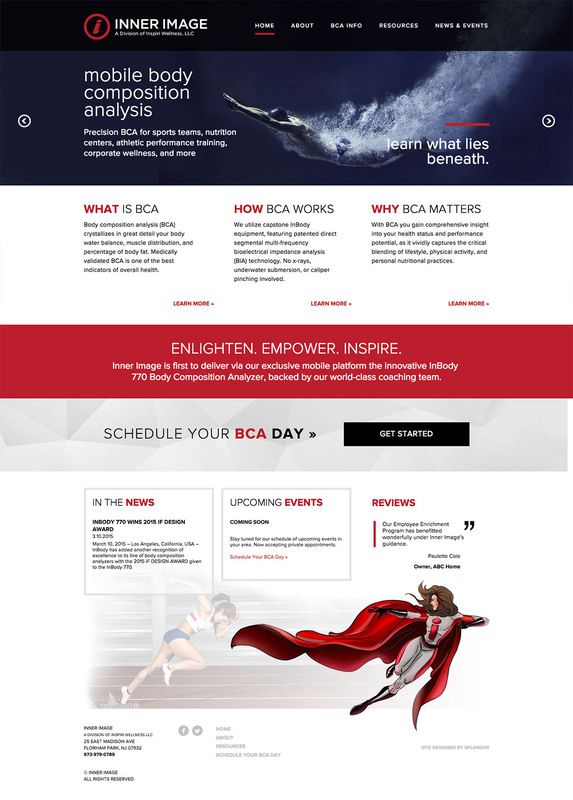 Design a website for Inner Image, a company specializing in body composition analysis. Owner, Scott Lenz, approached Splendor with an existing logo and print materials. We helped fill in the missing pieces and create a unified brand image. As a relatively new business, Inner Image needed a strong, professional website to attract leads.